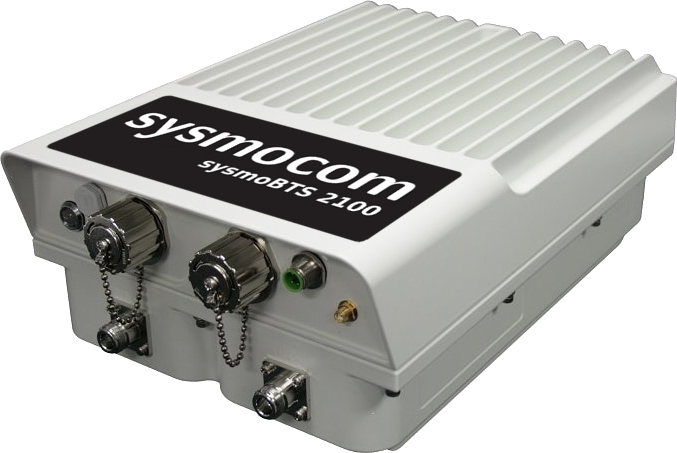 The IP66 rated sysmoBTS 2100 is intended to be mounted directly to the antenna pole in close proximity of the antennas. This keeps RF cables short and avoids the losses associated with long coaxial cables. Integrated duplexers for both ports reduce the amount of external components. Protection Rating IP 66 rated (dust tight and waterproof) outdoor enclosure for outdoor wall or pole mount. Integrated cavity duplexer, no need for external duplexer!